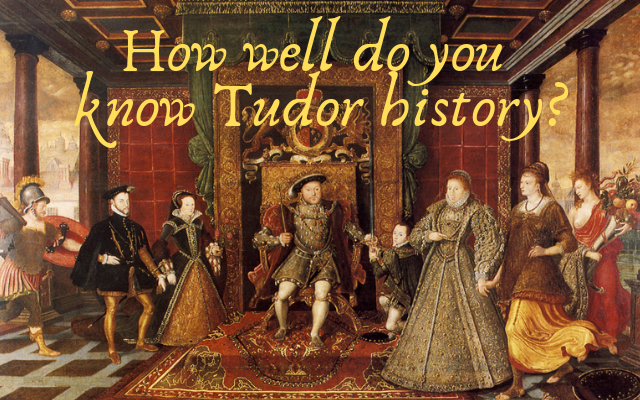 Maybe you’re a newbie to Tudor history, or maybe you fancy yourself an expert. Either way let’s see how much you really know! A special thanks to Sari Graham for creating this quiz with us. You did it!!! Great job, now let’s keep reading and learning about Tudor history. Which Tudor monarch was responsible for this loss of Calais? After losing Calais, Mary was reported as saying, “When I am dead and opened, you shall find ‘Calais’ lying in my heart”. It is possible that this statement is fictional. Why is Catherine of Valois, a French princess, significant in Tudor history? How many of Henry VII and Elizabeth of York’s children (who survived infancy) became either King or Queen consort? How old was Edward VI upon his ascension to the throne? What was the relation between King Henry VIII and Edward Stafford, 3rd Duke of Buckingham? Buckingham’s mother was Catherine Woodville, sister to Elizabeth Woodville. Elizabeth woodville was the mother of Elizabeth of York who was the mother of Henry VIII. This makes Henry VIII and Edward Stafford, Duke of Buckingham first cousins once removed. Henry VIII was known for his love of the ladies. How many illegitimate children did he acknowledge? Boleyn had the boy poisoned before her execution. Margaret Pole, Countess of Salisbury is one of the well-known female victims of King Henry VIII’s Plantagenet paranoia. What was her relationship to the King? Clarence and King Edward IV) being brothers. This made her a first cousin once removed of Henry VIII and his siblings. In fairness to the much maligned Anne Boleyn…she was executed 3 months before Henry Fitzroys untimely death….unless it was an extremely slow acting poison…her complicity in his deeath would have been a tad hard to accomplish from beyond the grave…kwim? The creator of the quiz is a huge AB fan.She merely just mentioned it since it had been a rumor. I would hate to not see anything you post.